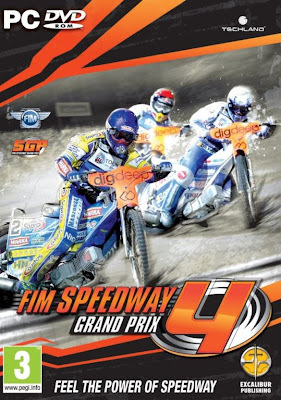 FIM Speedway Grand Prix 4 recreates the excitement of taking part in Speedwayâ€™s FIM Grand Prix Championship. Race 500cc single-geared bikes with no brakes! Challenge the icons of Speedway and become Speedway World Champion! Take part in the speedway world championships and compete on the worldâ€™s greatest race tracks. Play the multi-season career mode to sign sponsorship contracts and tune your motorbike. Challenge the icons of speedway and beat your rivals in the most prestigious speedway events in the world.